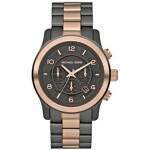 - Rose golden stainless steel and gunmetal case. 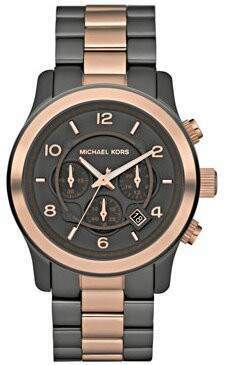 - Dark gray dial with rose golden time stops and accents. - Gunmetal stainless steel bracelet with rose golden stainless steel panel.